In celebrating the 60th anniversary of the NHS, it is worth reflecting on the proud history of medical care and research in Glasgow and the West of Scotland. 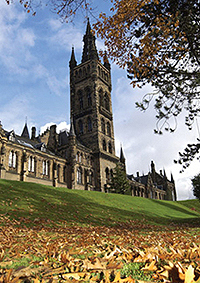 Central to centuries of landmark achievements, the University of Glasgow's Faculty of Medicine has been driving forward the nation's prowess in medical science. The University's contribution has been immense in training the clinical staff who deliver care and the diligent researchers who have developed the medical and surgical treatments that have transformed the lives of every person alive today. This has included the work of renowned physicians such as Joseph Lister (antisepsis), George Beatson (breast cancer), John MacIntyre (X-rays and radiology), William Hunter (anatomy and obstetrics) and Ian Donald (ultrasound) to name just a few. When the NHS launched in 1948, a natural partnership was created between the two and further advances in health care were made.